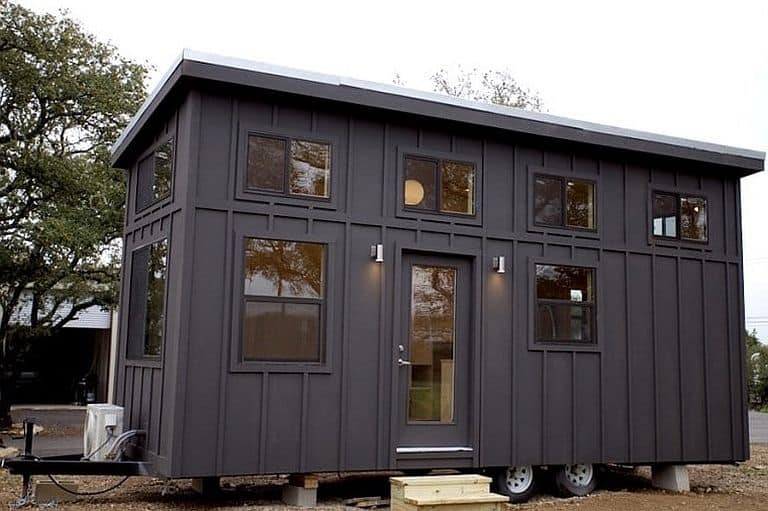 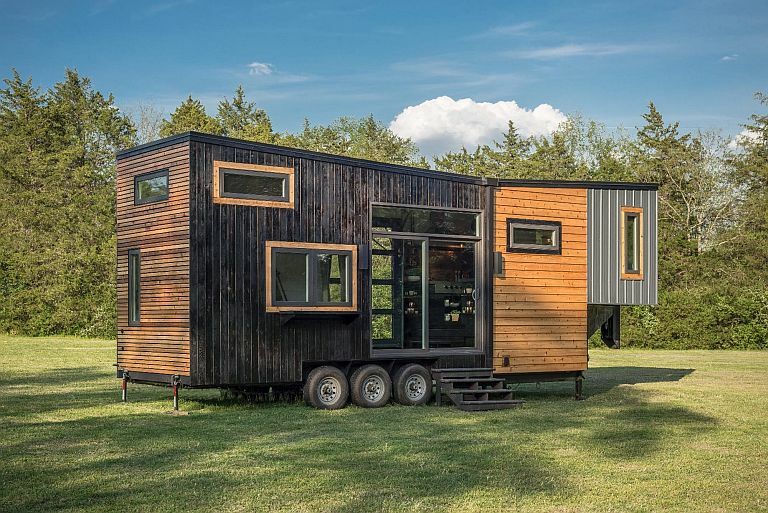 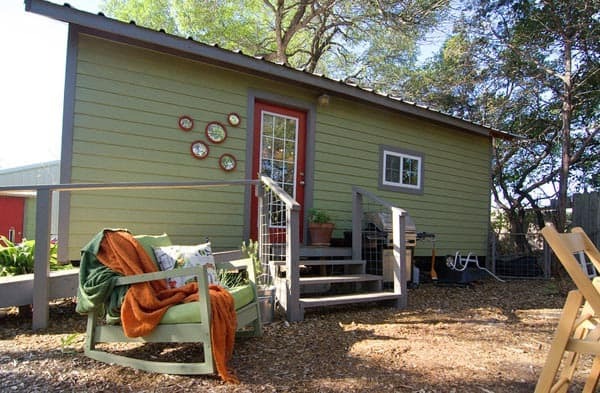 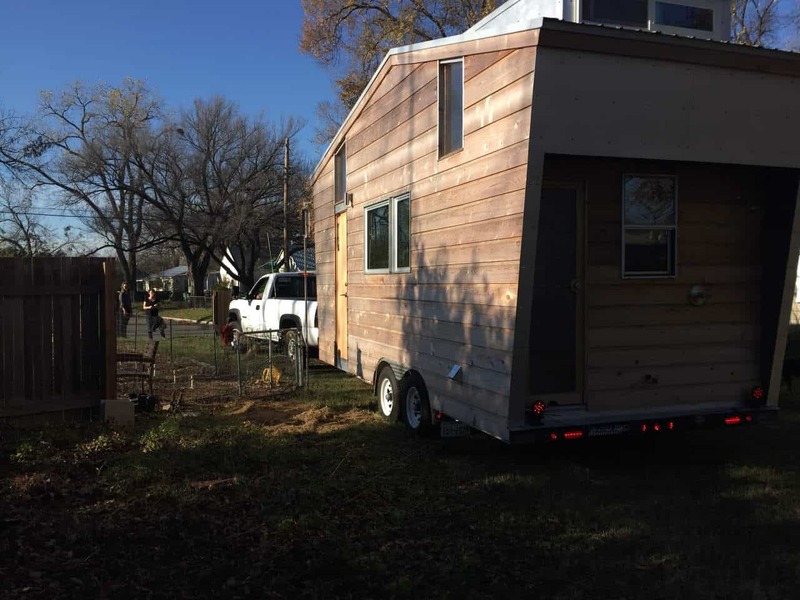 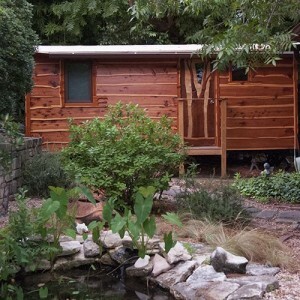 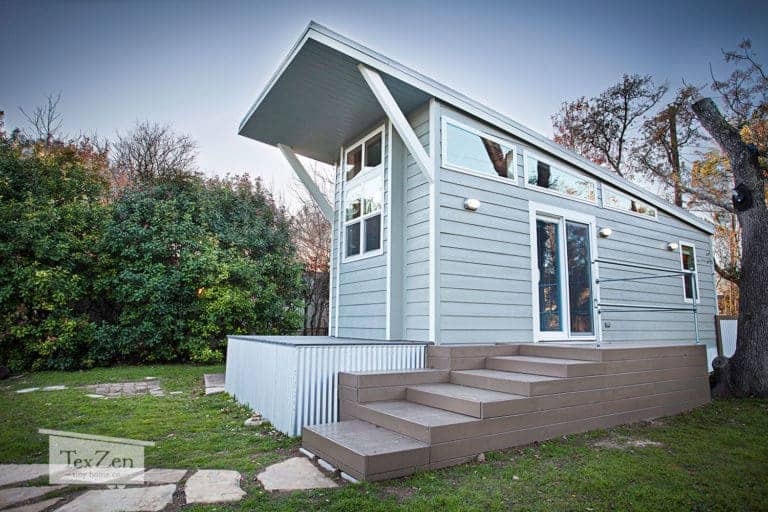 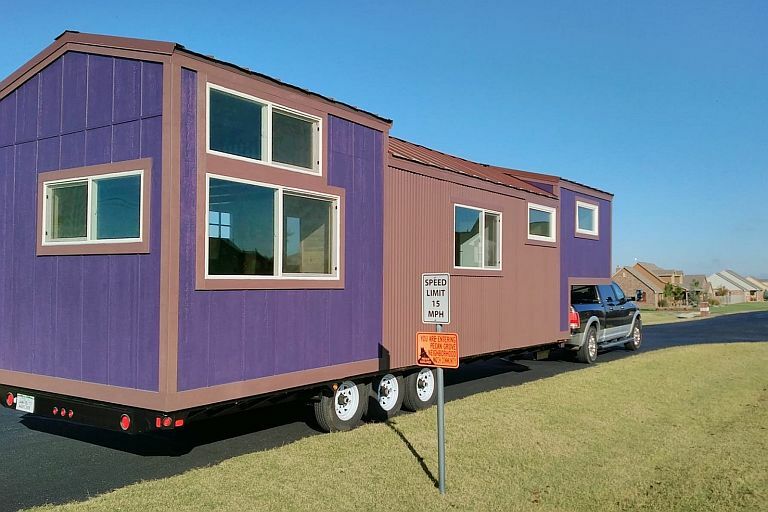 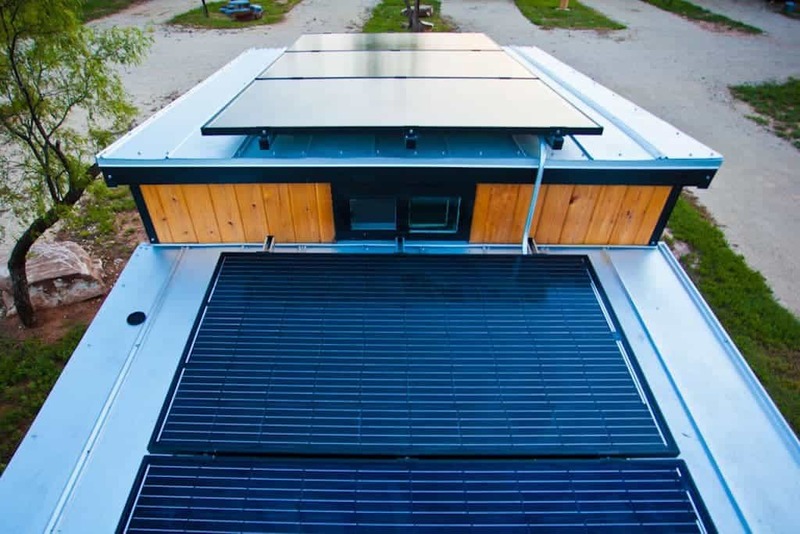 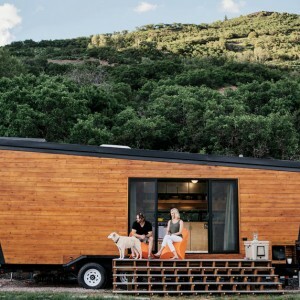 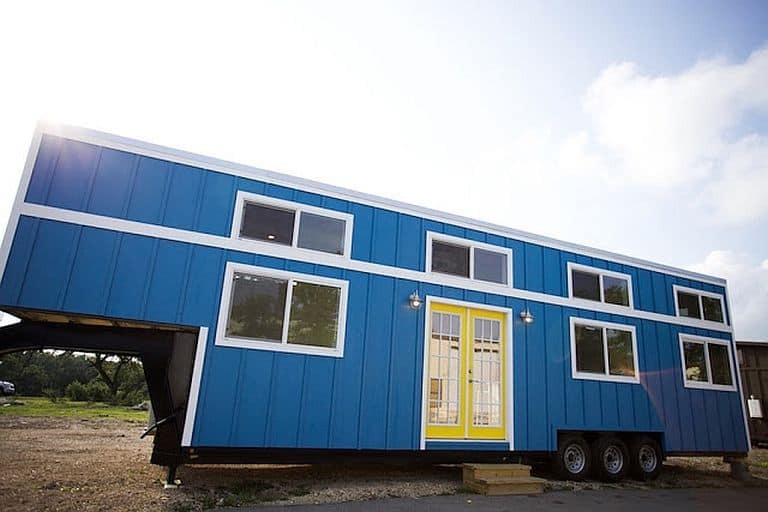 Austin area Nomad Tiny Homes is celebrating its first birthday with this huge blue 357-square-footer on a 35-foot gooseneck trailer, which they recently sold to a family of five from Oregon for $60,000. 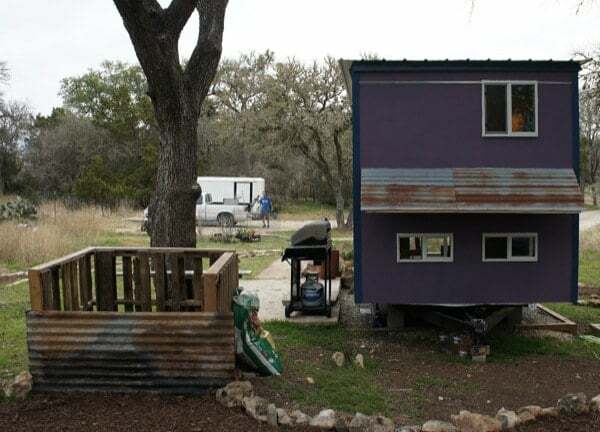 Nomad owners Alex and Marianne Worlow have been building traditional houses (including their own dream house) since 2006, but only went tiny last year. 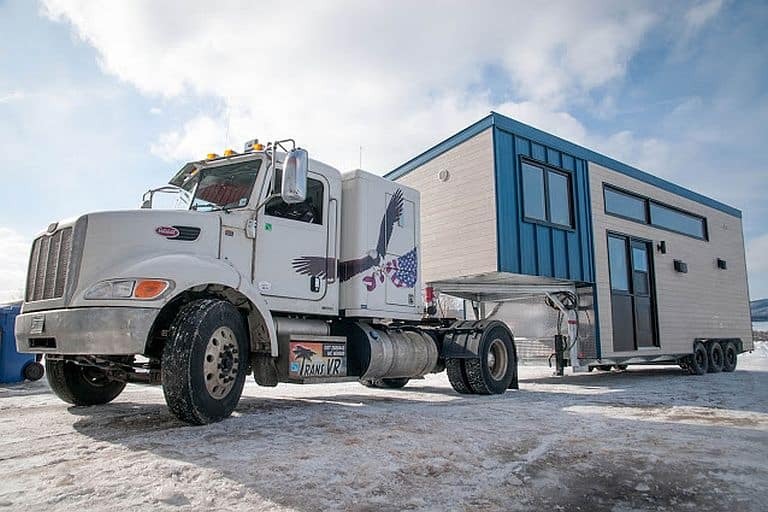 Now that they’ve made that transition successfully, they’re in the process of building a couple more things: an air-conditioned warehouse for future Nomad production – and a personal tiny house for them and their two young children. 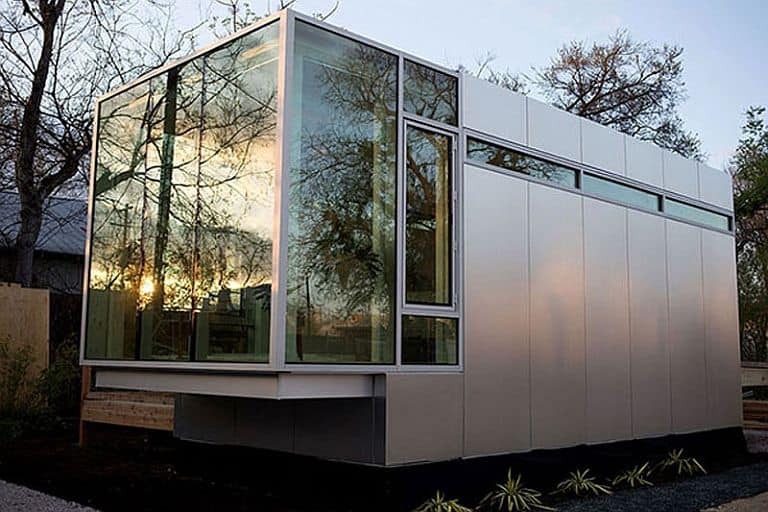 Lots of low-e, argon filled windows let in the light while keeping out the weather. 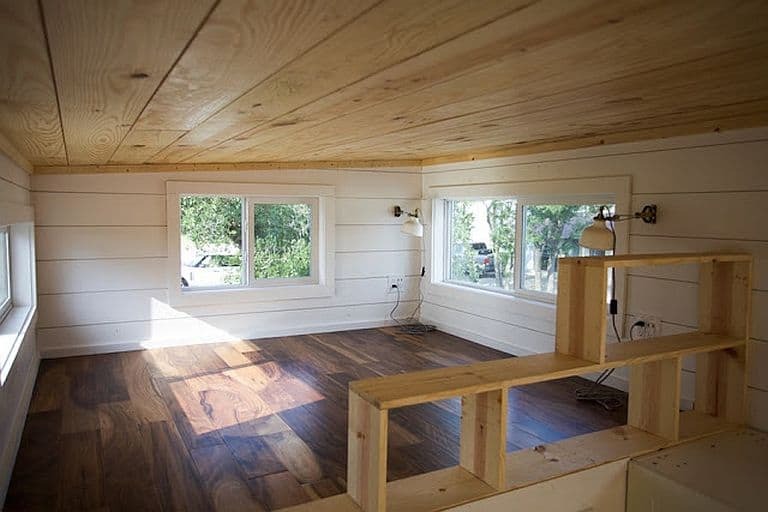 Under the shiplap walls and ceiling, the lovely floor is hand-scraped acacia. 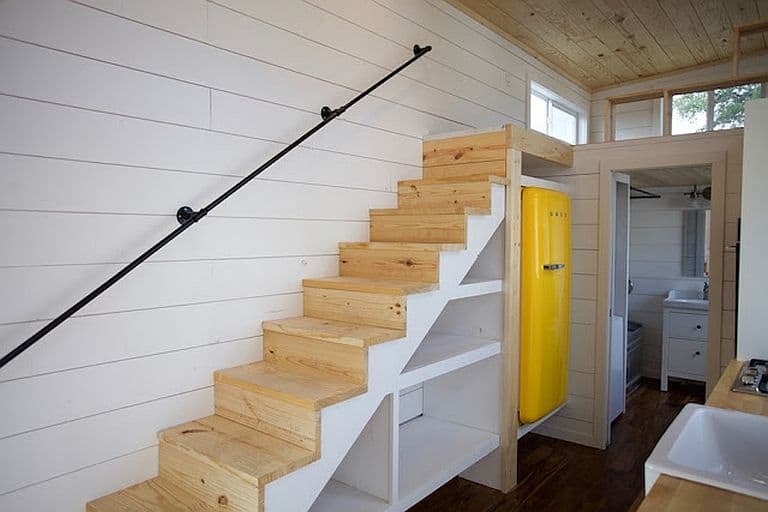 Nomad has utilized the increasingly popular under-stair placement for the retro Smeg refrigerator. 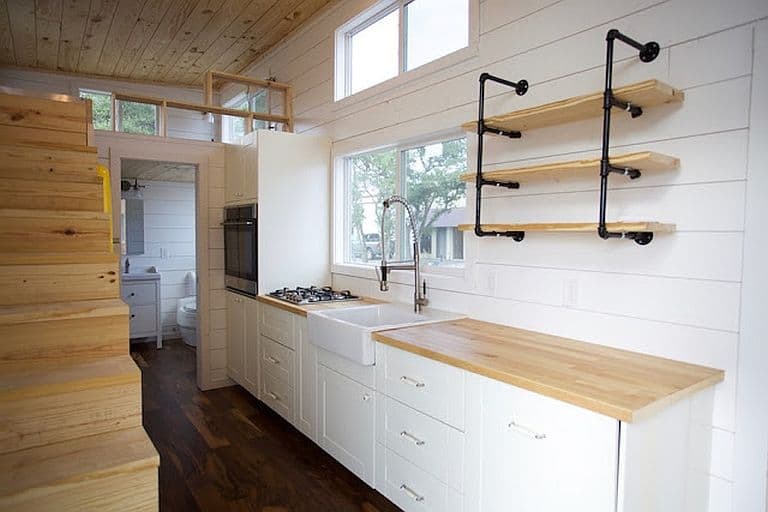 Kitchen amenities include birch butcher block counters, a four-burner propane range top, a 24-inch farmhouse sink, a wall oven and a hidden dishwasher. 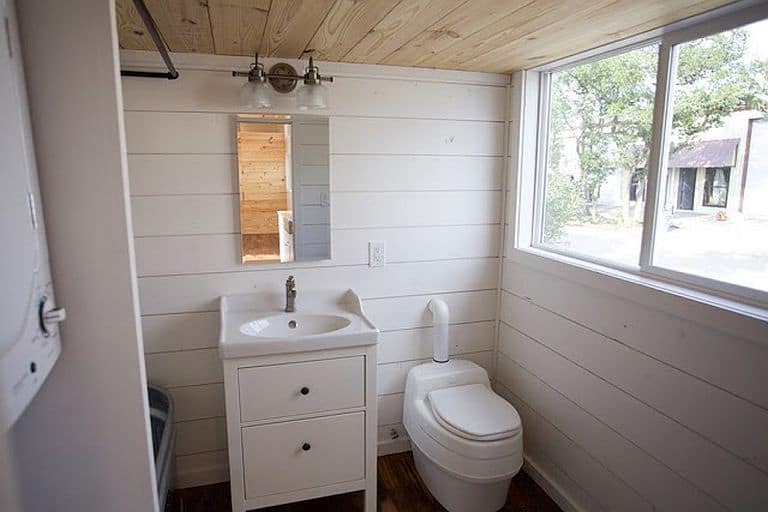 The composting toilet is from Separett. 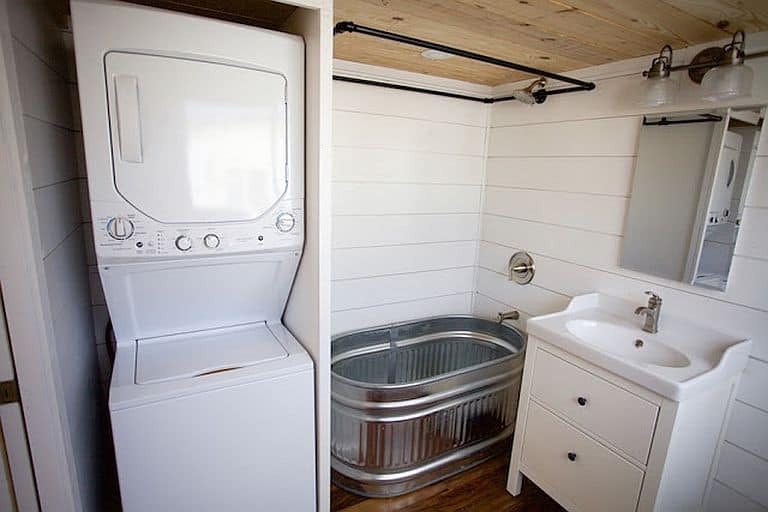 A stock tank bathtub and vented washer/dryer combo fit easily on the other side of the sink. 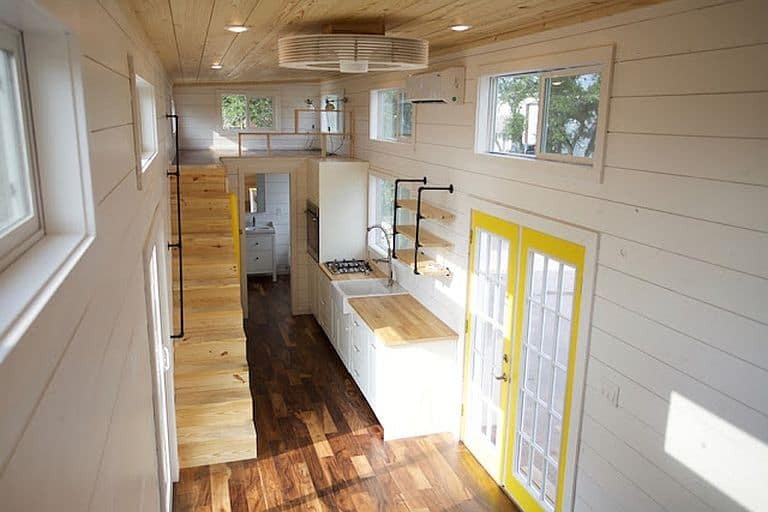 The master loft is located at the rear end of the house. 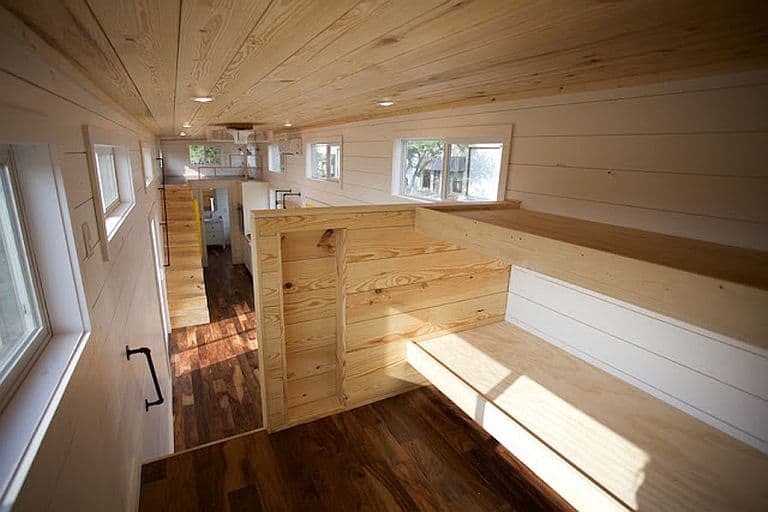 In the seven-foot extension over the gooseneck, the children’s bedroom holds bunk beds and a trundle.